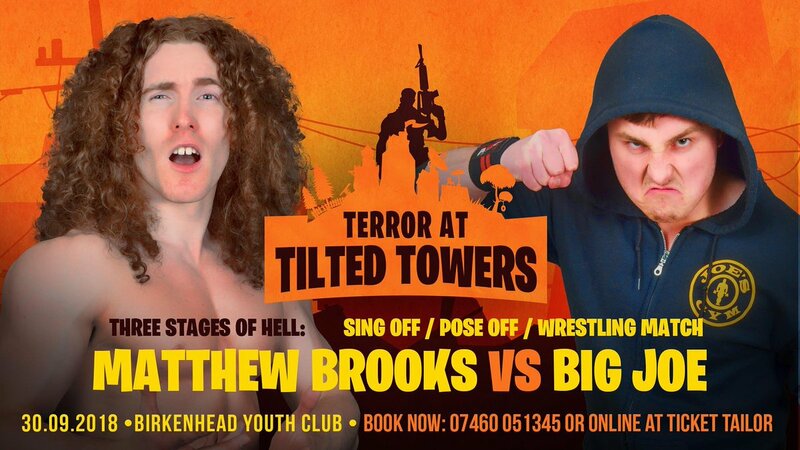 Huge main event announced for Terror At Tilted Towers! 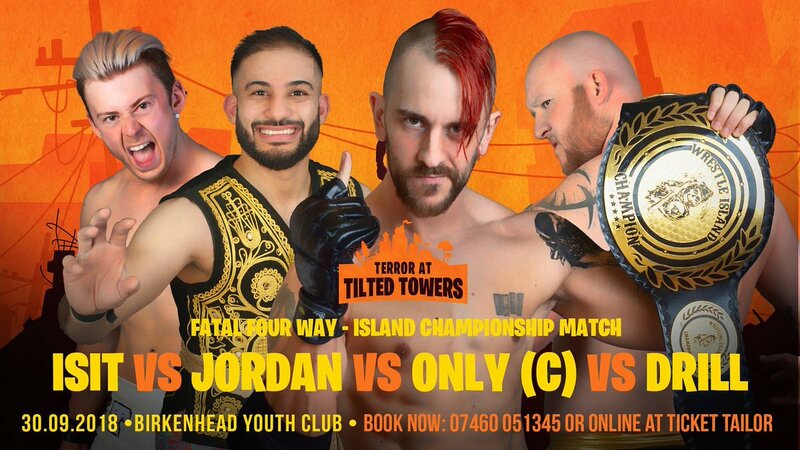 Before Sean Only has the chance to defend his Wrestle Island championship elsewhere, he must first retain against not 1, not 2, but 3 top contenders in a massive fatal 4 way match! 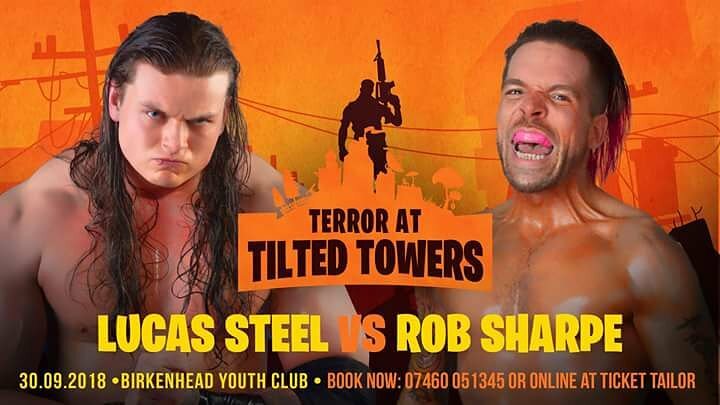 After last shows Standout performance it has took us a while to find someone to take a match Vs Lucas Steel . Till the other night when a old friend of the Island contacted us and asked for the match, And that man is not just a tough sob hes filthy gorgeous. 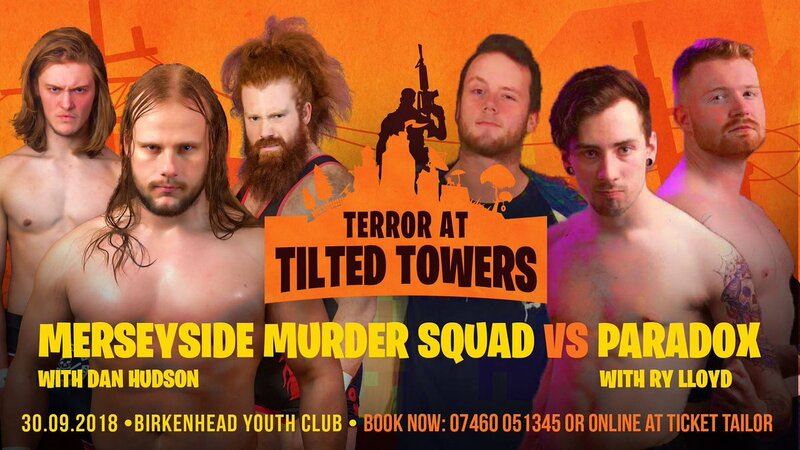 After being Attacked by The Merseyside Murder Squad unprovoked last show Paradox and Ry Lloyd came to island management and asked in no uncertain terms for this match. we take the Island to the extreme with a 3 Stages of hell match. After months of Big Joe abuse Operamania Matthew Brooks gets his chance at revenge. First fall a Sing off, Second fall a pose off and if required third fall a Professional Wrestling match.